How much impact can 15 minutes make? When listening to stories, 15 minutes can turn your life around. Last Wednesday at Story Circle, hearing Jennifer’s story of forgiveness and gratitude, mixed in with humor and tears, will have a ripple effect only the imagination can comprehend. Story Circle starts with participants sharing what has happened since the last time they saw each other. The talking stick is given to the person sharing their story, and is also an indication for deep listening by everyone else. There is an understanding that the circle is safe to share. 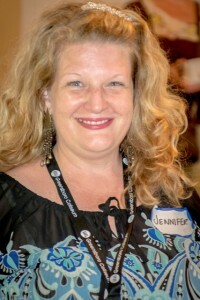 Jennifer said she loves Story Circle because it helps her to connect with others. The connection that’s important to Jennifer is non-judgmental, accepting and more awareness of herself and others.